For Microsoft, 1991 brings a new toll-free Piracy Hotline Number for consumer reports or inquires about pirated Microsoft® products: 1-800-NOCOPYN. We announce the BallPoint Mouse, designed especially for use with laptop computers and sales of software applications written for Windows 3.0 skyrocket. The 1991 fiscal year-end sales total $1,843,432,000. The 1991 fiscal Year employee headcount totals 8,226 people. The redesign of product packaging to include the new Windows Flag logo begins in February 1991. The first product packages to display the Windows Flag are: Microsoft® Money for Windows (announced 9/1/1991); Microsoft Publisher for Windows (announced 9/16/1991); Microsoft Works for Windows version 2.0 (announced 9/16/1991); Microsoft Entertainment Pack for Windows, Volume 1.00b (RTM 12/19/1991); Microsoft Entertainment Pack for Windows, Volume 2 (ships 9/30/1991); and Microsoft Entertainment Pack for Windows, Volume 3 (ships 9/30/1991). It will also be featured on Microsoft® Windows® version 3.1 (RTM 3/18/1992). This is NOT the 4-colored flag, but the first “Windows –compatible” mark. Microsoft announces that twenty-one computer manufacturers have announced their intentions to build pen-based computers that will support the Microsoft Windows for Pen Computing (Windows for Pens). 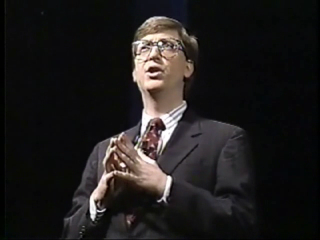 This announcement came last week at the Pen Windows Developer Conference held February 21-22, 1991 in Seattle. Microsoft distributed beta copies of Windows for Pens at the conference. Microsoft reports an agreement to acquire the assets of Consumers Software, Inc. (CSI). Assets are: The Network Courier product line for PC local area networks, including server software and client software for the MS-DOS, Macintosh, OS/2 Presentation Manager. A toll-free Piracy Hotline Number is established for consumer reports or inquires about pirated Microsoft® products: 1-800-NOCOPYN. Microsoft announces the BallPoint Mouse, designed especially for use with laptop computers. Microsoft announces the Microsoft Bookshelf for Windows on CD-ROM, a core set of reference materials for the home, office or school that is run on a personal computer. It includes an encyclopedia, a speaking dictionary, a thesaurus, two references for quotes, an atlas, and an almanac. Microsoft purchases a 26 percent share of Dorling Kindersley, Ltd., a London-based book publisher and international packager. As part of the agreement, the Microsoft Multimedia Publishing Group gains rights to license content from Dorling Kindersley for use in future multimedia software titles. Microsoft announces that, along with 11 other companies, it plans to use a special MPC trademark to indicate to customers that hardware products and systems software bearing the mark are compatible with the previously announced Multimedia PC (MPC) specification. The trademark will be transferred from its current owner, Microsoft, to an appropriate industry organization before general availability of products bearing the MPC mark. Sales of software applications written for Windows 3.0 skyrocket. Newly released Software Publishers Association (SPA) data for the year-end of 1990 shows a 157 percent increase in sales of Windows applications in the U.S. and Canada. There's a new slogan for an aggressive anti-piracy campaign being launched this summer: "Work With The Original." Logos, artwork and posters, marketing materials and brochures, and marketing programs and events will all emphasize the advantages of working with legitimate software both domestically and internationally. Microsoft announces the immediate availability of Microsoft MS-DOS 5.0. Microsoft is connected to the nationwide TCP/IP-based Internet. The Internet is a wide-area network that connects computers at a large number of universities, research institutions, and commercial concerns around the world. A Product Support Services site is planned to be opened in Dallas, Texas in October 1991. The new Dallas site will be headed by Glenn Young, Central Region Manager, who will report to Patty Stonesifer. Microsoft® Wizards will allow Microsoft applications to anticipate what a user will want to do next or suggest a better way to accomplish the task. The technology would enable the program to follow a user's movements as she or he works and draw conclusions as to what the user is apt to do next. They are expected to be included in Microsoft Publisher for Windows. More than 1,800 software developers will convene in Seattle, August 11, 1991 for a Microsoft Windows Software Developers Conference. This number exceeds projections by 300 percent, the conference is at capacity, and hotels in the heart of Seattle are full. To manage the movement of the large number of attendees between locations, the city has issued a parade permit. Also, Mayor Norman Rice will proclaim the week of August 11th "Software Developers Week," in recognition of the contribution of software development to the Seattle metropolitan area's economy. Excel 3.0 for Windows is generating significant gains in market share and a groundswell of support from software developers and corporate customers. Microsoft ships 1.5 million units of Excel worldwide and 40 percent of the increased market share of Excel comes from users who are switching competitive spreadsheet packages. Microsoft releases the Solution Series, a collection of stand-alone, task-oriented applications designed for the personal and small-business computer user. The applications, Works for Windows, Money, and Publisher, run under Windows 3.0 and are designed for people who are new to personal computing and those who don't want to spend a lot of extra time playing around with their computers. 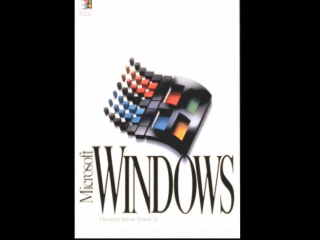 The new Microsoft® Windows® logo, a colorful window with trailing rectangular tails in the shape of a fluttering flag, is announced at Fall/COMDEX '91. It is intended to be displayed on products that are compatible with versions 3.0 and 3.1 of Windows. There are three versions: Microsoft Windows, which is for internal use by employees only; Microsoft Windows Compatible, which is for use by authorized third-party companies; and Microsoft Windows Ready-to-Run, which is used by OEMs who pre-install Windows on their products. For the first time, employees contribute more than $1 million to the United Way campaign. With Microsoft's dollar-for-dollar corporate match, the 1991 donation comes to more than $2 million. Microsoft announces Open Database Connectivity (ODBC) that allows applications to communicate easily with both relational and non-relational management systems. It is based on the SQL Access Group's Call Level Interface specification (CLI), which uses SQL to access database environments. · IBM and Apple Computer form two jointly-owned, independent companies, Taligent and Kaleida, to create a new object-oriented operating system and multimedia technologies, respectively. · Novell purchases Digital Research and braces for a battle with Microsoft over control of the desktop. · Coalition forces from 39 countries, led by the United States and the United Nations, begin Operation Desert Storm to liberate Kuwait from Iraqi occupation. · The U.S. Supreme Court approves an end to school busing. · Gulf War: Operation Desert Storm begins on January 17 and ends six weeks later with Kuwait liberated by Allied forces. · Linux: The first version of the Linux kernel is released to the Internet. · USSR: The Soviet Union is dissolved following a failed coup by hardline extremists, replaced by the Commonwealth of Independent States. Boris Yeltsin becomes the first democratically-elected president of Russia. · Stock Market: The Dow Jones Industrial Average closes above 3,000 for the first time. · King: An amateur video brings the arrest and beating of Rodney King by LA police to television screens nationwide. Four police officers are indicted and later acquitted, sparking racial riots. · TV: Murphy Brown, Roseanne, and Cheers are among the top television programs. Home Improvement, Ren & Stimpy, and The Jerry Springer Show premiere. · Magic: Los Angeles Lakers star “Magic” Johnson announces he is HIV+. · Business: Pan Am closes down after 64 years as one of the world’s leading airlines. · Music: “Grunge” enters the music vocabulary as Nirvana’s album Nevermind hits the charts and “Smells Like Teen Spirit” becomes the anthem of a generation. · Balkans: Yugoslavia disintegrates as Croatia, Slovenia, and Macedonia declare independence and fighting breaks out between Serbian, Croatian, and Slovenian forces. · Computers: Apple launches Mac System 7. · Scandal: The 35th Annual Tailhook Symposium on naval aviation is marred by accusations of sexual harassment and assault. · Marriage: Actress Jane Fonda marries TV magnate Ted Turner. · Football: The New York Giants win Super Bowl XXV, defeating the Buffalo Bills in a 20-19 nail-biter. · Electronics: Sony launches MAVICA, the first digital still camera. · Court: Clarence Thomas is confirmed as Supreme Court Justice, despite accusations of sexual harassment made by Anita Hill. · Movies: Top grossing movies of the year include Terminator 2, Robin Hood: Prince of Thieves, City Slickers, and Fried Green Tomatoes. Silence of the Lambs sweeps the Oscars, winning the awards for Best Picture, Best Actor (Anthony Hopkins), Best Actress (Jodie Foster), and Best Director (Jonathan Demme).